State Electric Company (Stelco) has provided employment opportunities to 30 inmates as part of a community reintegration program. 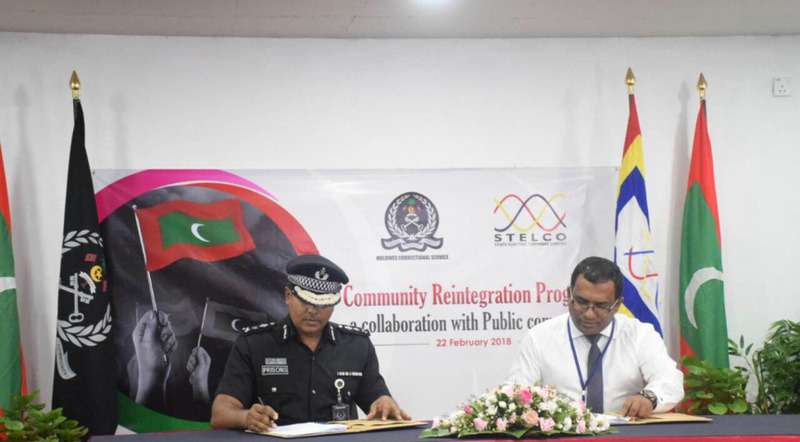 Maldives Correctional Service and Stelco signed the MoU for the community reintegration program for inmates in a function held at the Hulhumale’ powerhouse this Thursday. 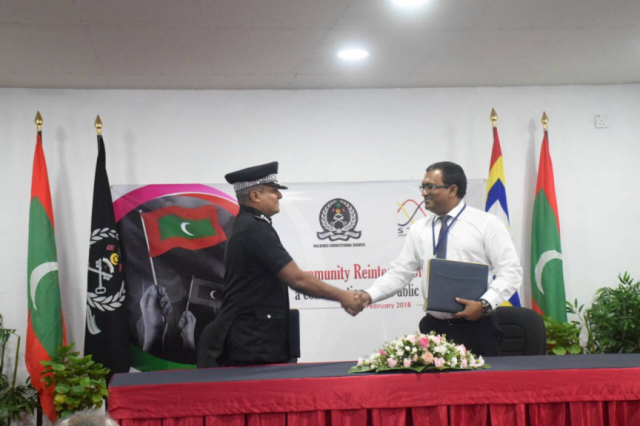 The MoU was signed on behalf of Stelco by Managing Director Ahmed Zuhoor, and on behalf of Maldives Correctional Service by Commissioner of Prisons, Ahmed Shihan. The MoU is for the period of one year. Managing Director of Stelco, Ahmed Zuhoor noted that only inmates who have showed exemplary good behavior have been selected for the reintegration program. He said the 30 inmates will work on projects at the Phase II of Hulhumale’ Development Project including installation of electric cables. The 30 inmates will be given a daily allowance of MVR 100-MVR 300, said Zuhoor. Meanwhile, Commissioner of Prisons noted the importance of rehabilitating inmates. “This will utilize the time they spend in prison, teach them skills, and facilitate employment once they are reintegrated into the community after they serve their sentence,” said Shihan. Shihan said those selected for the program will stay at the Hulhumale’ Jail.